Grind the coriander leaves, garlic and green chillies. and grind tomato to a smooth paste separately. Hope you having a great time in homeland. Glad to see you back. 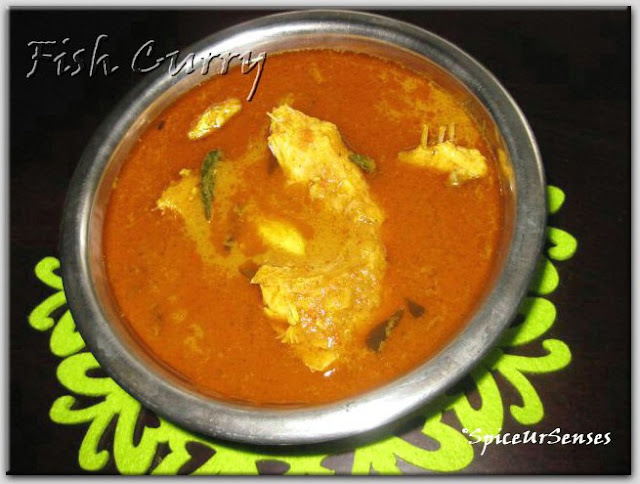 wonderful fish curry recipe...cute click too. hi hru dear..hope u have great days back in ur homeland...fish is my fav..this surely a treat! Slurpp! 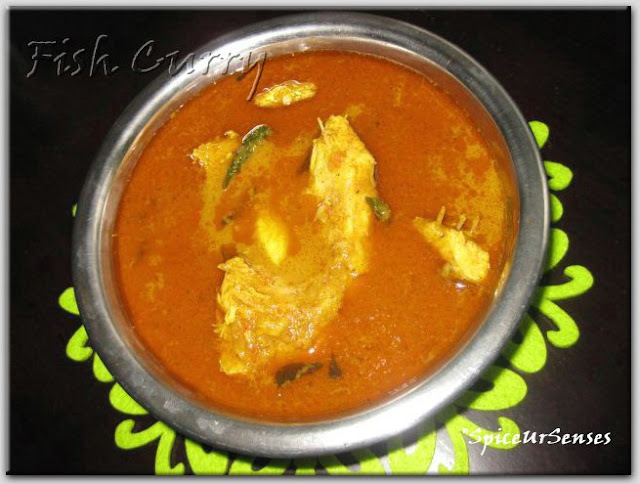 !fish curry looks awesome and makes me hungry..
Hello Rumana, hope u have settled down. Which brand fridge did u buy at last?? How is everything going in ur new house? Fish curry looks very yummy. This is entirely a new method of cooking fish to me.Will try and let u know. Thanks for sharing the recipe dear. Rumana,,fish curry looks perfect n makes me hungry dear..wooow what a colour of the curry hmmm simply superb..
hello dear we r doing fine da.